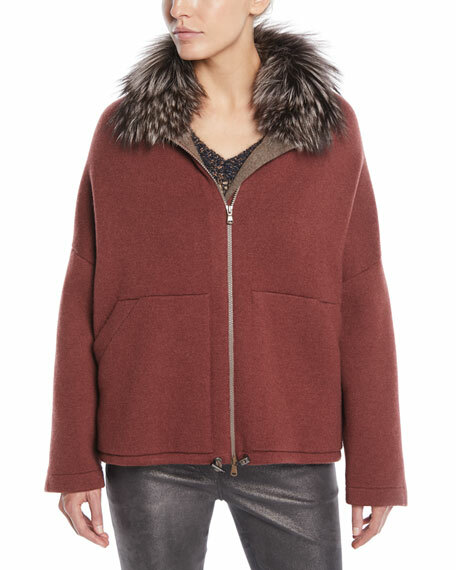 Brunello Cucinelli cashmere sweater jacket. Dyed fox fur (Finland) trim on collar. For in-store inquiries, use sku #2663039. A.L.C. "Monica" jacket with sequined palm trees. Stand collar; zip front. Long sleeves; tab cuffs. Side slip pockets. Relaxed fit. Draw-cord hem. Viscose/acetate. Lining, polyester. Imported of Italian materials. 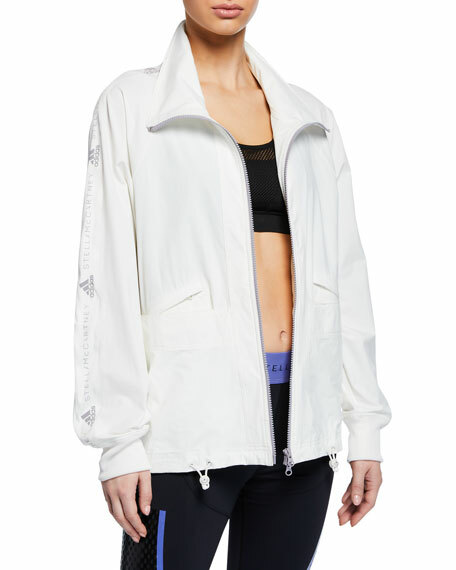 adidas by Stella McCartney active jacket with logo details. 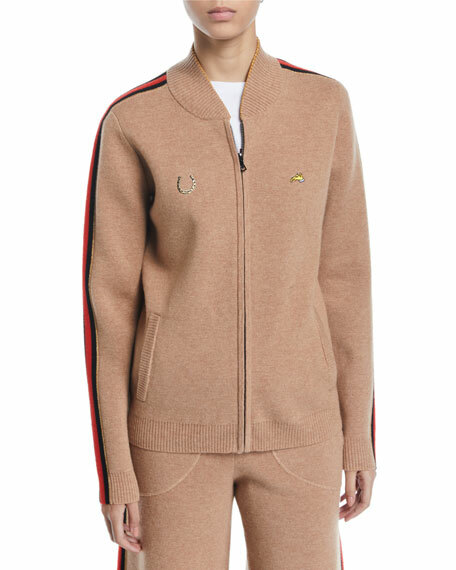 Stand collar; two-way front zip. Long sleeves; ribbed cuffs. Side slip pockets. Relaxed fit. Back storm flap detail. Drawstring hem. Recycled nylon/spandex. Imported. 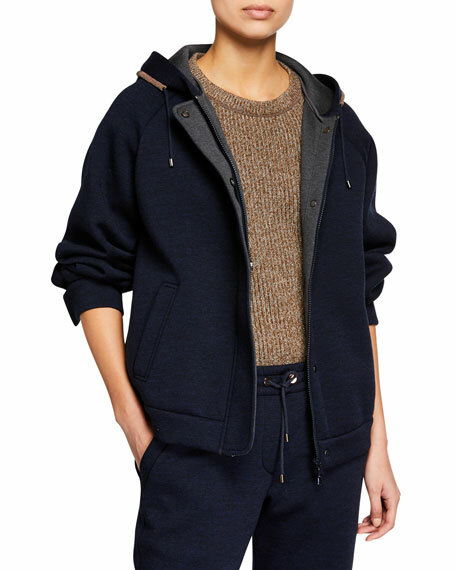 Brunello Cucinelli jacket in wool-cotton knit, featuring monili-beaded trim. Hooded neckline with drawstring; snap/zip front. Long sleeves. Side slip pockets. Banded hem and cuffs. Relaxed fit. Virgin wool/cotton. Lining, acetate/silk. Made in Italy.